Halloween is almost upon us and I’ve pulled together the best Witch movies to get you in the mood. We’ve got a mix of different types of witch films in this list. Movies you can watch with the family, perfect date night flicks and some you shouldn’t be watching alone. 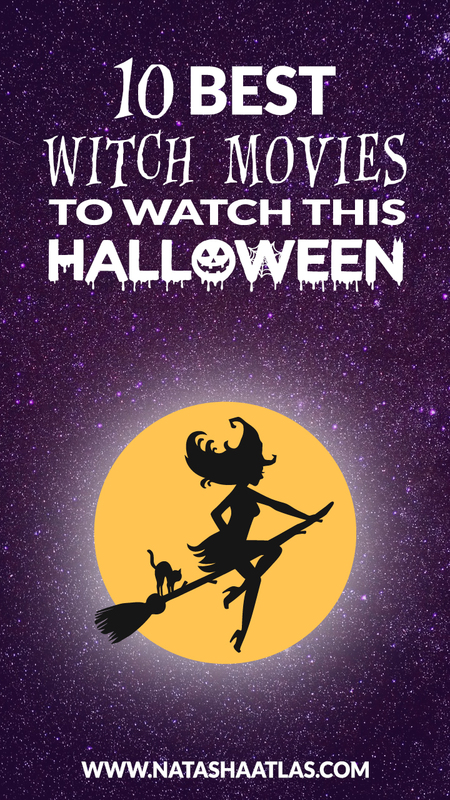 Get your cauldrons, potions and black cats ready for a bewitchingly good time watching these enchanting spooky films. First up is one of your favourite Roald Dahl childhood books to the big screen and bringing it to life. All your childhood nightmares from reading the book right in front of you. This film is supposed to be for kids?! These witches are truly terrifying and gross to look at. Great family film but keep the night light on when putting the kiddies to bed. I have a proper soft spot for this film. Another book turned film but this film was supposed to be the first of series which sadly never happened. However, I still love this enchantingly beautiful, romantic film about a witch who falls in love with a mortal. They’re just so damn cute. Jock. Witch. 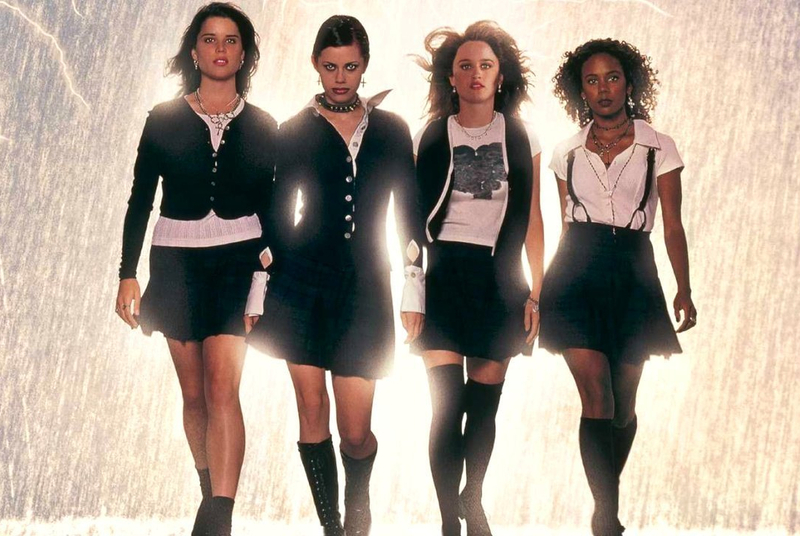 This teen witch film, no Sabrina included is a classic. It’s a great high school movie with a group of girls practicing witch craft. It’s got lots of magic, teen drama and your worst teenage nightmares come true. Watch out for those weirdos. One of the best Halloween movies from my childhood is Hocus Pocus. I love watching this movie even now. It’s hilarious, scary, fun, filled with adventure and it’s just a great family film. Also, Sarah Jessica Parker is just the most fabulous, sultry and hilarious witch your ever seen. Another classic. This time with two of my favourite actresses, Sandra Bullock and Nicole Kidman. Growing up with magic in their blood but have a family curse to go with it. There’s a part of the story which still breaks my heart to this day but the film brings a lovely sentiment of family importance. As a massive Harry Potter fan, I couldn’t not put the biggest franchise of our generation into this list. I’m still waiting for my letter by Owl post but I have been to 2 of the Harry Potter Worlds in America and Harry Potter Studios. A film for witches and Muggles a like. I could NEVER watch this film again. It makes me sick to my stomach. It’s creepy, spooky, scary, horrendous, vile but for some reasons the Critics love it. Me not so much. Have a watch and let me know what you think. Another classic. Cher, Susan Sarandon, Michelle Pfeiffer and Jack Nicholson. What a cast! Release a year after I was born, it’s still a magically spooky movie today. One of my mum’s favourites. Back to Salem where it all started. I remember having to watch this film in English class on a VCR (in a Catholic High School which I still find weird) and having to write an essay about it. It’s not till later in life I realised what an amazing film this was and a take behind the tragic events of the Salem Witch Trials. Blair Witch Project is 100% my favourite Witch film still to this day. It’s the first hand found footage film which made history in film. 3 people in the woods, 1 camera, twigs and stones as far as it goes with special effects. Showing you don’t have to have a massive budget to make a legendary movie. The new version is an insult to the original. What’s your favourite witch movie for Halloween? Let me know in the comments below.